It would be nice to think that it was not necessary to provide a security system for churches, chapels and other places of worship, but, sadly, in this day and age there is a growing demand for CCTV systems to be installed in places that used to be regarded as sacred. Lead from the roof of such buildings is a prime target for thieves and such incidents have become commonplace in recent years, as have other forms of vandalism of church property. Then, of course, there are the many valuable objects stored in churches – cathedrals in particular. Some house historic records and various artefacts as well as precious statues. Very often there is money which has been taken in collections or is as a result of some fund-raising project. It is naïve in the extreme to think that churches are immune from incidents of vandalism and theft. In fact sometimes it is the very people that the church is seeking to help who are the guilty parties. Therefore, such buildings need to be protected, just like any others, and a CCTV system is the ideal method with which to try to deter would-be vandals and thieves, using indoor and outdoor security cameras and a surveillance DVR. Installing CCTV will not only act as a deterrent, it will also make it possible, should there be any theft or vandalism, to use the footage to bring the guilty parties to justice. Both churches and community centres bring together a lot of people for a variety of reasons and activities. This number of people can raise a couple of security issues. In order to protect your church grounds and community centres, it’s essential a CCTV system is installed. Here are the top reasons why it’s a necessary precaution. Vandalism is rife and can happen in the late hours of the night or the early hours of the morning. When vandals recognise there is a CCTV system in place and therefore a chance that they may be discovered, they tend to back away from committing the crime. Vandalism can cost an extensive amount of money, so it’s better to invest in a CCTV system than continually pay out to fix the surroundings. An unfortunate aspect of the current society we live in is that nothing seems to be sacred, and many will steal from churches and community centres in a poor effort to further their own material gains. Unfortunately, it’s naive to think that community centres and churches cannot be broken into. Having CCTV installed can help deter burglars or if the unfortunate does happen, then the CCTV footage can be used for evidence and to help identify the person or people in question. Having peace of mind when it comes to your church or community centre is a necessity. Worrying and stressing about things before they happen can preoccupy your time. Having CCTV installed can give you this peace of mind that you will be aware of what’s happening remotely. 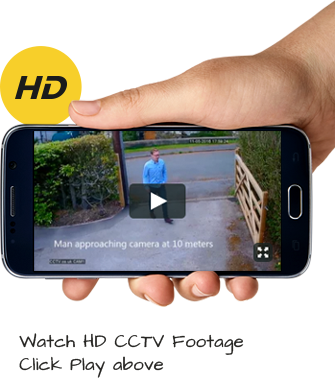 You can view your CCTV from a convenient place for you. If you are interested in CCTV installation for your community centre or church area, then get in contact with us today to see how we can assist you.